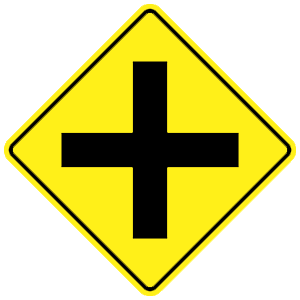 Is it legal cross a double solid yellow centerline to pass? If there is no oncoming traffic. If the vehicle ahead of you is driving under the speed limit. Two solid yellow lines down the center of a two-way road mean that neither lane of traffic may cross the lines, unless they are turning off of the roadway. A driver can cross double yellow lines when turning into or out of a driveway or entrance to a business. No passing is allowed over a solid yellow line. What is the only way to reduce your blood alcohol concentration (BAC)? Allow your body time to get rid of the alcohol. The only method that effectively reduces your BAC is to not drink alcohol for a period of time. Coffee, exercise, and cold showers cannot reduce your BAC or change the effects of alcohol. They can help you remain awake, but they cannot change your BAC or make you sober. Don’t park on the right side of the street. 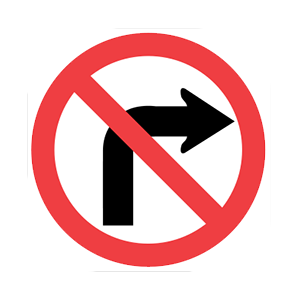 A sign with a red circle and slash over a symbol indicates that the action represented by the symbol (in this example, a right turn) is not allowed. Check your mirrors and blind spots. Honk your horn at least three times. 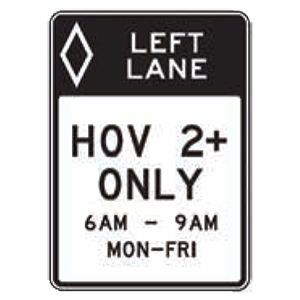 Re-enter your lane within 10 feet of the passed vehicle. There is no need to signal. Before passing another vehicle, check your mirrors and blind spots. Before changing lanes, activate the appropriate turn signal. 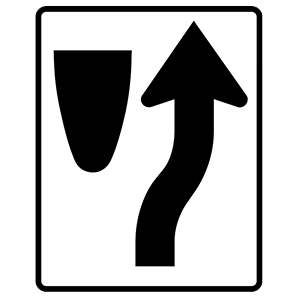 Re-enter the lane when you can see the front of the passed vehicle in your rearview mirror.